How many sessions will I need? How long is a session? The number of sessions varies depending on the nature of the problem, your needs, the work you do to help yourself in between sessions and the outcomes that you are looking for. Some people overcome a phobia in a single session yet others with a similar problem have taken 2 or 3 sessions. My aim is to get you to be how you want to be as quickly as possible and for you to sustain and build on the improvements long after your therapy has ended. Generally most issues can be treated successfully in 2 to 5 sessions (lots of traditional psychotherapists would treat you as a long term project but Hypnotherapy is quick and very effective). Clients usually see positive improvements after the first session (or completely if it is a single session treatment). feel and act. How? By allowing you to bypass the critical, judgemental, analytical, justifying conscious mind, in order to access your subconscious non-reasoning mind. The amazingly powerful sub-conscious represents over 90% of your total mind capacity, and is where every memory is stored. 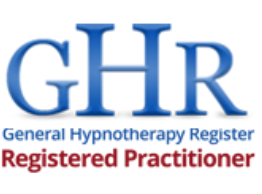 Hypnosis simply allows you to tap into the sub-conscious processes which control your emotions, habits, beliefs, desires, attitudes, imagination, motivation and all of your bodily functions. Everything that you can do without thinking about at all from breathing, walking and talking, to driving a car, opening a door or taking a shower, is controlled by your sub-conscious mind. Think of Hypnosis as a password that unlocks the sub-conscious mind. It allows you to gain access to all the contents of your 'hard drive' memory. Every single item in that memory can be accessed, no matter how deeply hidden or repressed, and re-programmed to remove negative items and allow positive change. What does it feel like to be in a hypnotic trance? While in a Hypnotic trance you will feel beautifully relaxed both physically and mentally. You will feel as though nothing at all bothers you and you may be unaware of your surroundings. It can feel like you are in a dream yet you do not become unconscious and can respond to instructions and suggestions In this relaxed state great changes are possible as your subconscious mind is more open and able to accept ideas and suggestion that are beneficial for you. All of your fears, phobias and habits exist in the subconscious and Hypnotherapy can help the subconscious mind overcome them. Hypnosis is such a natural state, like a daydream, that most clients feel deeply relaxed and refreshed after each session. And scientific research shows that Hypnosis does have a real beneficial brain effect – click here for an interesting article on this subject.